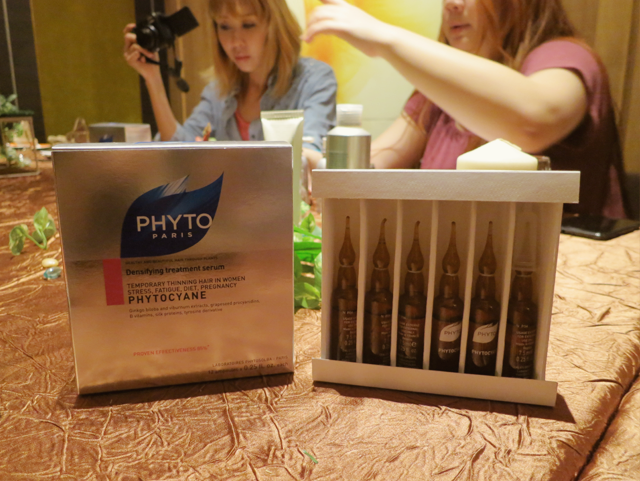 Sometime in August, I attended the bloggers' event for Phyto's Phytocyane at Le Restaurant and Asian Tapas Bar. 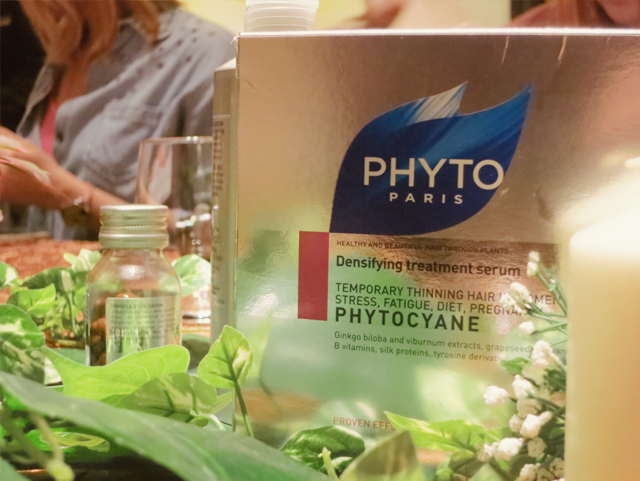 The brand's name is Greek for 'derived from plants' and it is at the forefront of combining active plant botanicals with science to develop formulae which will help restore hair back to its pristine and healthy condition. Contrary to popular belief, it isn't just the males who are in danger of losing excessive hair. We, women, are at risk too and statistics have shown that as many as 45% of us go through life without a full head of hair. Typically, we should lose about 50 strands daily, as part of the regular functioning of our scalp and hair's life cycle. Beyond that, hair loss is considered excessive. Women's hair loss is identified with increased thinning all over the scalp and it is especially noticeable at the hairline. Common causes include sudden hormonal changes, diet deficiency of iron and protein, stress, pollution, prolonged intake of strong medication, sudden weight loss and use of unsuitable hair care products. Prepare the scalp with essential oils. Restore the scalp's balance by choosing a shampoo adapted to its nature. Enhance hair beauty with a cream, treatment or spray. The first step in this deep treatment, this 100% botanical formula prepares the scalp for the subsequent steps. It contains essential oils and corn germ oil to cleanse the scalp, balance sebum secretion and tone blood vessels. 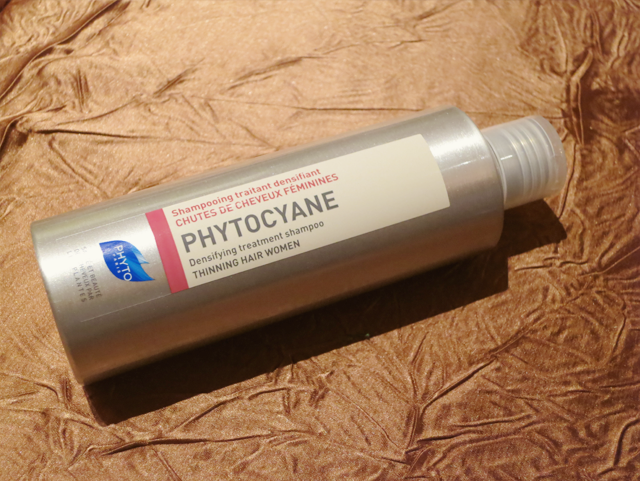 This results in a stimulated scalp that is on its way back to its normal condition. This revitalizing shampoo addresses temporary thinning caused by stress, fatigue, pregnancy, medication and seasonal changes. Ingredients like Ginkgo Biloba and Cinchona Bark support the scalp while Grapeseed Procyanidins combat free radicals and protect the hair bulb. Hair appears denser and fuller with each usage. It regenerates and strengthens hair bulb with botanical active ingredients like Gingko Biloba, Viburnum Bark and Grapeseed Procyanidols. At the same time, it calms and provides anti-inflammatory action, boosts microcirculation while fighting free radicals to age proof the hair bulb environment. It triggers hair growth using Vitamins B5 and B6 and Soy Proteins to enhance microcirculation, activate cell metabolism and keratin production. It delays the onset of greying hair through the use of Tyrosine Derivative, a melanin precursor to maintain the melanin activity of the hair bulb. It enhances the beauty of hair with Vitamins B5 and B6 and Silk Proteins that give hydration and volume, while imparting a natural shine. 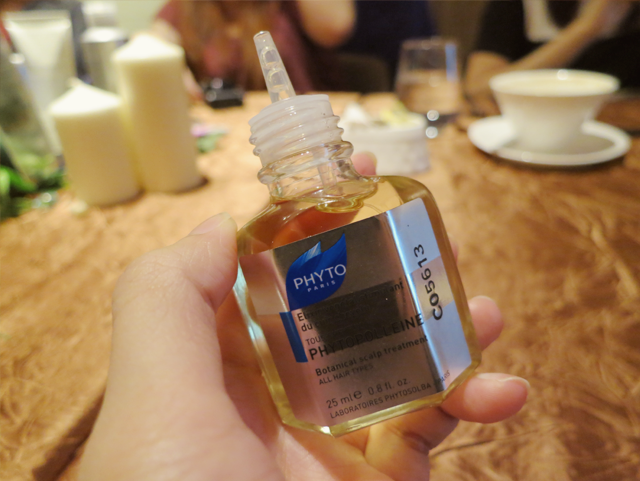 Last but not least, there is the Phytophanère Dietary Supplement. Each capsule contains a reservoir of essential fatty acids (Borage Oil and Fish Oil.) 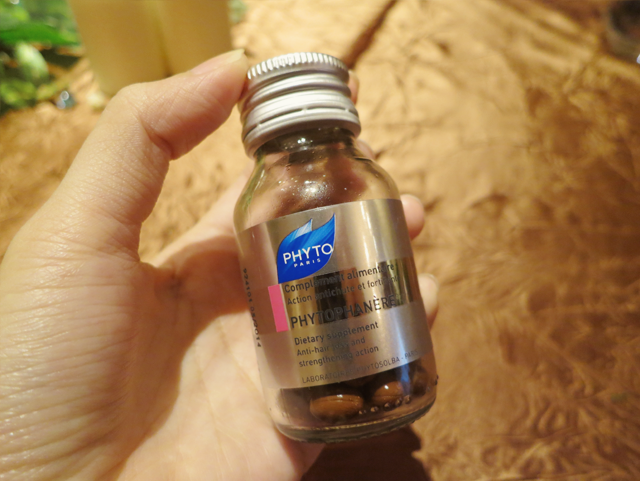 and vitamins (Brewer's Yeast, Biotin, Pantothenic Acid and Pyridoxine.) for the hair, nails and skin, strengthening each and maintaining them at their optimal states. Before the event, I had actually picked up 3 bottles of the shampoo at Watsons (I think they were going for $69.90 for 3.) and have since finished 2 bottles (I wash my hair 2-3 times a day. Hehhh.). Initially, I found it really difficult to lather but at the event, I realized that I needed to use half a cap's worth of it. And that solved the problem. Also, during washing, your hair will feel dry because the cuticles are raised. All you need to do is to smooth them down with a comb. (: There isn't a conditioner in this range as it isn't needed. But for me, I feel safer with one. Heh. So I do use one from another brand, just on the bottom half of my tresses. I think that the shampoo did curb my hair loss a tad but the effect wasn't very obvious. Then again, such treatments require more than just 2 bottles for significant results. I'll be checking out the other products in the next two months and will report back soon! 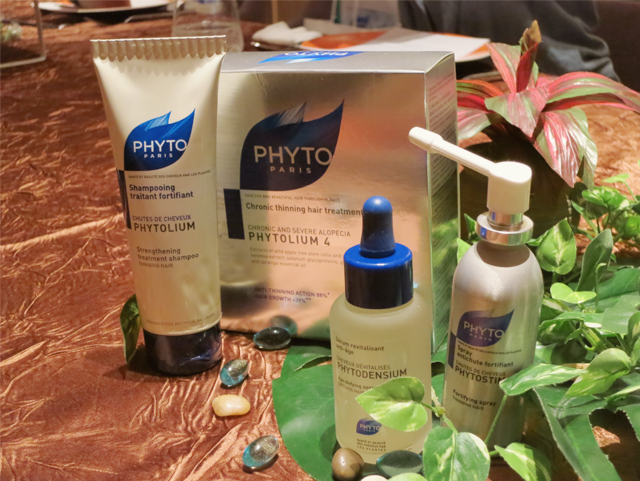 Phyto is available at all Robinsons, John Little, Beauty by Nature stores and selected stores at Watsons, Guardian, BHG, Metro and Unity.